Mr. Brownlee handles civil and criminal appeals in Florida and in federal courts of appeal across the country. Mr. Brownlee obtained his board certification from the Florida Bar in appellate practice in 2016. 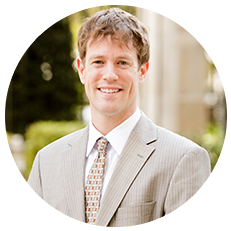 He is licensed to practice in each of Florida's appellate courts and most of the federal circuit courts of appeal. In addition to Florida's district courts of appeal, Mr. Brownlee has performed oral argument at the U.S. Court of Appeals for the First Circuit in Boston, the U.S. Court of Appeals for the Fifth Circuit in New Orleans, the U.S. Court of Appeals for the Sixth Circuit in Cincinnati, and the U.S. Court of Appeals for the Eleventh Circuit in Atlanta. He has also litigated extensively in Florida’s Supreme Court and secured a victory there in 2016. Mr. Brownlee is a member of the Appellate Practice section of the Florida Bar and the Orange County Bar Association's Appellate Practice Committee. He holds an "AV Preeminent" peer review rating from Martindale-Hubbell and has been nominated as a Super Lawyers Rising Star in appellate practice each year since 2016. Moderator – Judicial Philosophy Panel - Orange County Bar Association, 2016 Bench-Bar Conference (Panelists: The Honorable Dorian K. Damoorgian, The Honorable Samuel J. Salario, Jr., The Honorable Richard B. Orfinger), The Florida Bar CLE (April 15, 2016). Moderator – Panel Discussion with Circuit Judges of the Ninth Judicial Circuit - Orange County Bar Association, Criminal Appeals and Post-Conviction Relief in 2019 (Panelists: The Honorable Dan Traver, The Honorable Leticia Marques, The Honorable Heather Higbee), The Florida Bar CLE (March 13, 2019).